The first part of the Harry Potter franchise’s finale doesn’t feel very Potter at all. The rest of the series took part in Hogwarts, introduced different aspects of the world of wizardry and had a wider mystery waiting for Harry and his friends to solve. Here, the trio are out of Hogwarts, there is no wider mystery and very little wonder and excitement at all. This is a clear end of the series story, tying-up loose ends and for the first part of this two-part epic, bringing Potter and his friends to their lowest before they can (hopefully) successfully win the day. What this means is that Deathly Hallows’ first part is one of the darkest yet. This isn’t just in tone, which uses a lot of darker colour palette and shies away from the golds and reds which comprised the earlier installments. It is also in it’s subject matter, which includes bloodied attacks, violent wand battles and the deaths of key characters. Deathly Hallows feels a long way from it’s “children’s book” roots, which isn’t necessarily a criticism. It means that the three key characters in the series get a proper adventure. Harry Potter may be in the title but this is also the story of Hermione and Ron too, which feels fitting considering the franchise and wider story is their’s as well. 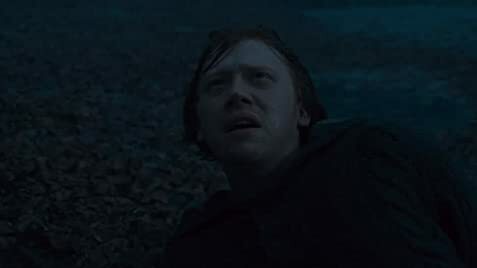 Luckily, the three key actors step-up to the plate ably, Daniel Radcliffe commanding the screen as Potter, Emma Watson managing to convey the emotion and desperation of each situation well while Rupert Grint gets one of his darkest turns yet. It makes for a more dramatic movie in the series, often at the expense of the more action-focused moments. There are still some decent set-pieces but nothing that feels as epic as we’d come to expect from the Harry Potter series. This is in a large part because it is the first of the two-parter. There is clearly something larger coming in Part 2 and although there is a finale of sorts here, there is little to really sink your teeth into. It was clearly designed to be watched back-to-back as there is some great storytelling done here (one piece of beautiful animation is a particular stand-out) but very little pay-off. 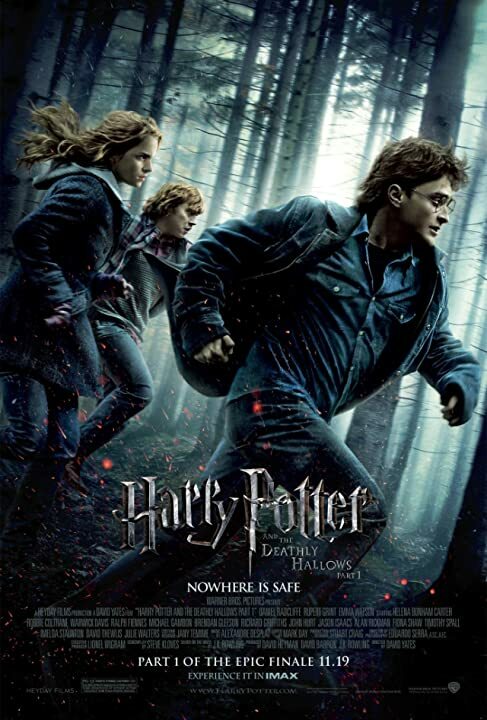 Overall, Harry Potter and the Deathly Hallows: Part 1 is exactly that, half of the intended story and it feels like it. There are some great story elements, the central trio get their most dramatic Potter moments yet but very little action. This is a film setting-up something much larger and hopefully it lives up to the promise.